PET packaging solutions specialist APPE has further enhanced its range of bottles for hot-fill food and beverages with the introduction of a technology that delivers improved filling, greater design flexibility, lighter weight and smoother walls. Launched after an 18 month development period, the new Active Hinge for APPE’s Heat Set bottle range features a multiple ribs design that the company says produces bottles that are 30% lighter than existing technology while delivering an enhanced performance in two key areas. Firstly, the ribs provide additional rigidity to the container to counteract the pressure caused by the filling and cooling processes. Equally important, the ribs contract after cooling, absorbing the vacuum that remains inside the bottle and further controlling deformation. The ribs also help to increase topload strength. 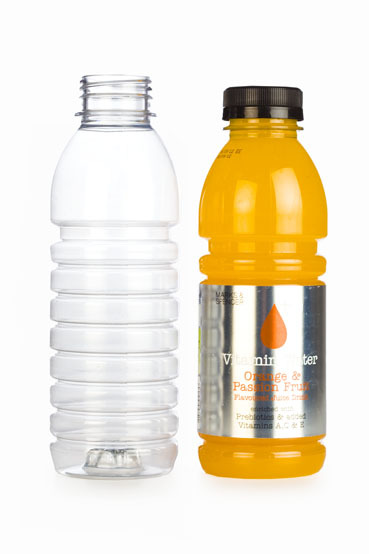 As well as lighter weight bottles, which reduces raw material usage, the panel-less design creates a more modern look with smoother, sleeker lines that also improve label application and appearance. APPE Heat Set bottles are manufactured with the company’s purpose-designed resin and produced using a specialised blowing process which adds strength and rigidity to the PET molecular structure. The bottles can have an amorphous or crystallised finish and be filled at temperatures up to 85°C, depending on filling conditions. They offer a range of finish/neck sizes and widths and are suitable for a variety of applications such as juices, isotonic drinks and sauces.